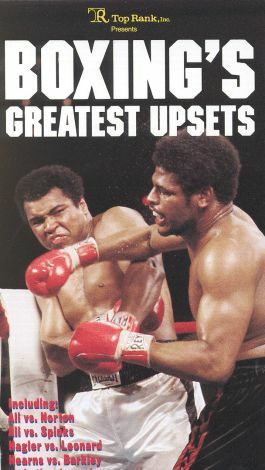 This video includes footage from famous fights, including Ali-Norton, Ali-Spinks, Hagler-Leonard, and Hearns-Barkley, as well as the stories behind these legendary bouts. Twenty fights in all are featured, including Barkley-Hearns and Moore-Duran. Also included in the program is a look at the economic upset that occurs in the gambling world when a favorite loses a fight.